Graduate in Law (under 10+2+3+3 or 10+2+5 pattern) from the recognized Universities in the Indian Union and recognized by the Bar Council of India for admission as Advocate or Attorney of an Indian Court. 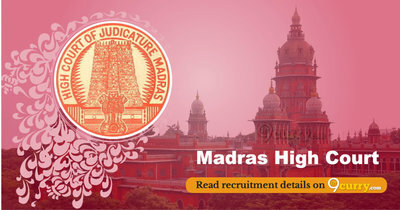 Eligible candidates may send their application in prescribed format (attached below) to The Registrar General, High Court, Madras-600 104 or email- estt.madrashiahcourt@gmail.com on or before 25 Apr 2019, along with self-attested copies of all Educational Certificates including the statement of marks obtained in Law Degree. 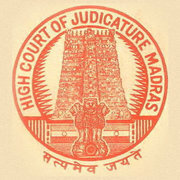 Namakkal District Court Recruitment 2019 - Job notification for 57 Office Assistant, Computer Operator & Other Posts in Namakkal District Court, Tamil Nadu. Applications are invited by Namakkal District Court, Tamil Nadu on or before 29 Apr 2019 till 06:00 PM for 57 vacancies. Namakkal District Court Recruitment 2019 - Job notification for Office Assistant Posts in Namakkal District Court, Tamil Nadu. Applications are invited by Namakkal District Court, Tamil Nadu on or before 30 Apr 2019 till 06:00 PM for 2 vacancies.